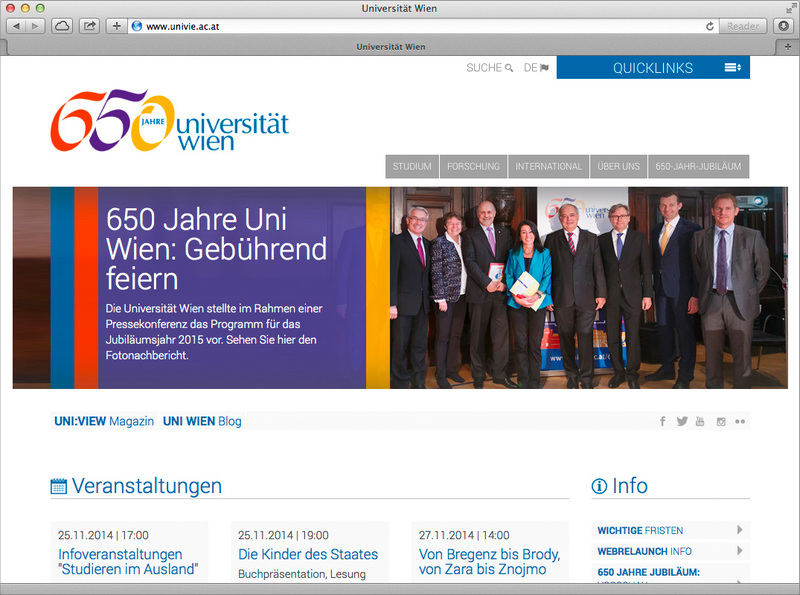 In celebration of the 650th anniversary of University of Vienna in the year 2015, I created a logo. The commission came from the agency Bluetango via Lo Breier. 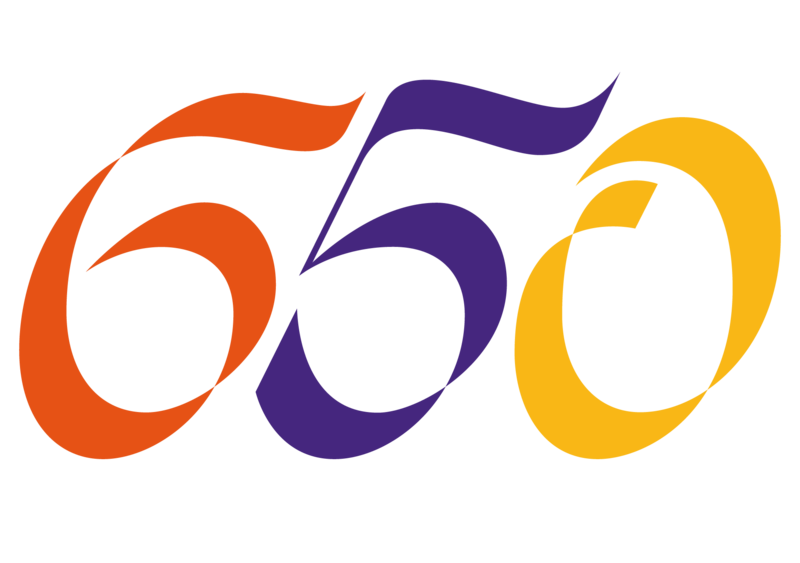 The word “Jahre” (years) appears with the logotype, and both are set in the font Optima. The colours were determined in a corporate identity process. The jubilee brand can be seen on the flags in front of the campus, too.